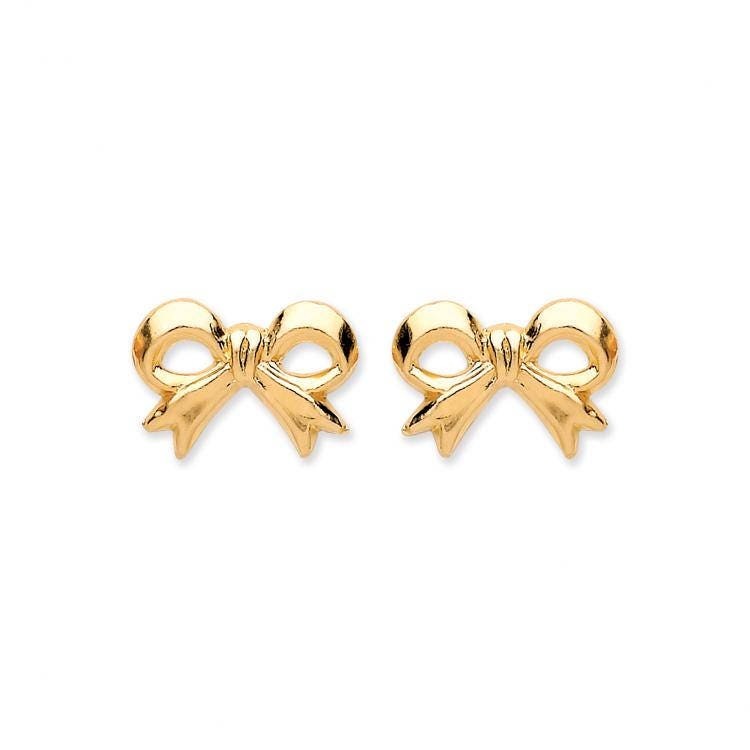 A pair of dainty 9ct gold ribbon bow stud earrings. Size approx 8x54mm with butterfly fastenings. Gift for my God daughter, and she loved them!